Love is in the air, and your ability to embrace life to the fullest is invigorating. Your creative energy is driven by a powerful intuitive awareness. Open yourself to opportunities to share your talents. By incorporating visualization techniques into your fitness or sports activities, you'll have better results. Your mind-body link is very powerful this month. A deep yearning to feel the love you've always dreamed of experiencing can influence both your dreams and your waking state. Instead of just hoping, you can now alter your energy in a way that will allow you to feel the fullest measure of love. It's time to remove your fears, drop your barriers, and allow the flame to burn brightly. You'll be delighted with the results! Open your heart during the Moon on the 13th, when you know you are not alone. Although Mercury retrogrades from the 7th—27th, you can still progress positively in your career. Be alert to situations that breed jealousy. You're somewhat vulnerable to deception from the 6th-16th, since you're willing to believe the best instead of researching the facts. Investments fare best after the 21st, when an unusual opportunity can be the perfect solution to your financial needs. Release the past from the 1st-16th. 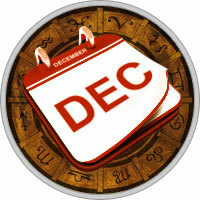 Forgiving and letting go during this time opens the way for sudden and surprising new changes after the 20th.